A shiny silver watch with a distinctive phantom dial, stainless steel material resistant to even the harshest elements and a classic oyster bracelet, the Explorer 216570 is one of Rolex’s most inspired inventions. This sharp and sophisticated timepiece makes a bold statement with its big face, chunky dial and reflective silver bracelet. The Explorer 216570 is a watch that looks amazing and feels amazing. 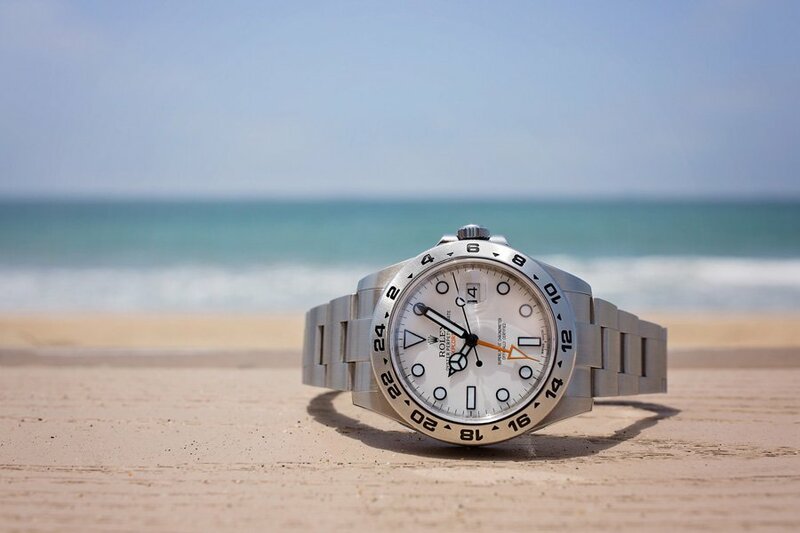 The Rolex Explorer collection was manufactured using some of the finest technology in the aerospace and chemical engineering industries; its superalloy material is resistant to any corrosion or environmental wear and tear. This watch can go places and go places and go places, thus, the name Explorer is an apt description for this watch with its own set of superpowers. You can take the Explorer 216570 anywhere. Paying tribute to the spirit of mountaineering, this watch boasts all the features of a luxury Rolex with an athletic mindset including a white dial with luminous black hands, a stainless steel bezel with 24-hour markings as well as a date display and a 50-power hour reserve. 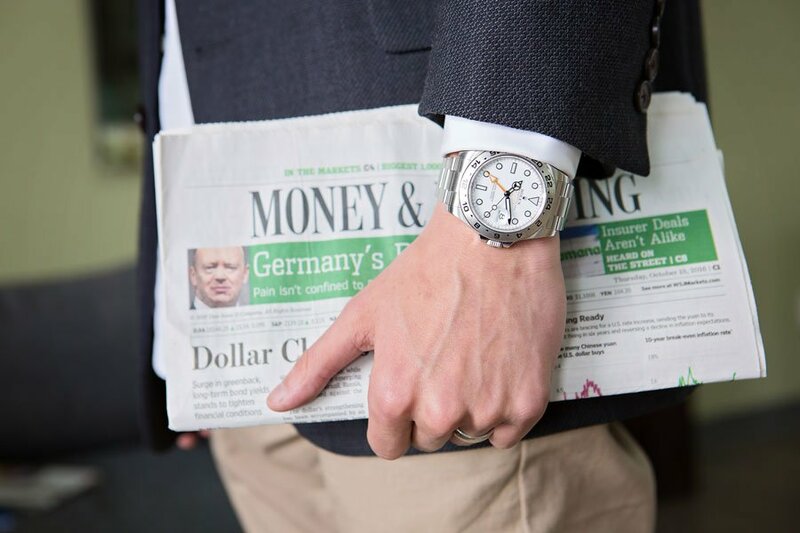 The Explorer is not only a watch that can be worn while looking amazing, but this Rolex is a hardy watch. Perfect for the businessman with a penchant for adventure, this brilliant timepiece adds a cool guy twist to any basic boardroom look. What’s the ideal ensemble to accentuate this statement-making wristwatch? A herringbone sport coat in navy or brown, crisp white button-down and tan classic flat-front khakis make for the sophisticated, but sporty style. This watch also works for formal affairs and can be worn with more elegant attire like a business suit or an evening tuxedo. Adding a polished silver accent to a nighttime look will infuse a bit of fashion flair into an outfit without being too ostentatious. 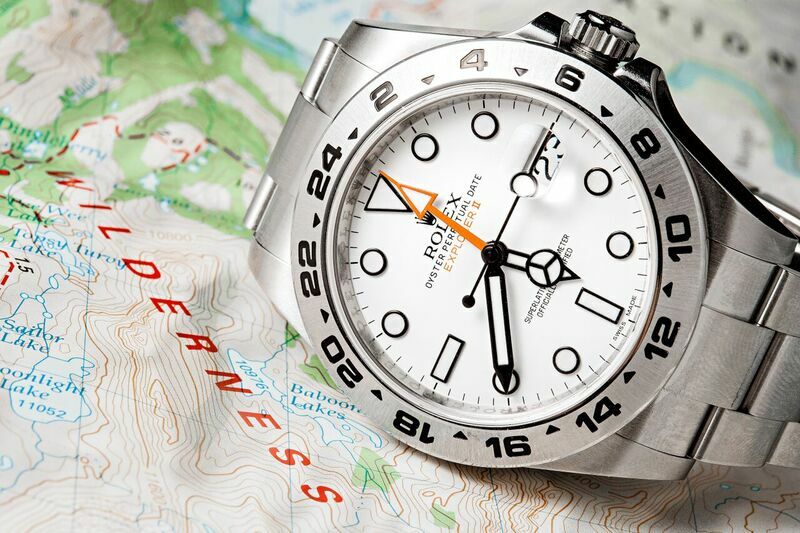 The Rolex Explorer II 216570 is a watch for true explorers at heart. Called ‘The Climber’s Timer’ the robust and reliable Rolex Explorer watch was even credited with helping to make a journey to the top of Mt. Everest possible. Clearly, the craftsmanship of the Explorer is exceptional and even the highest peaks are no match for this tenacious timepiece.